In the process of creating a painting, I sometimes will do a pencil study of the concept. For the Kinetic paintings these drawings are the middle view as it will be seen when the Kinetic painting is complete. 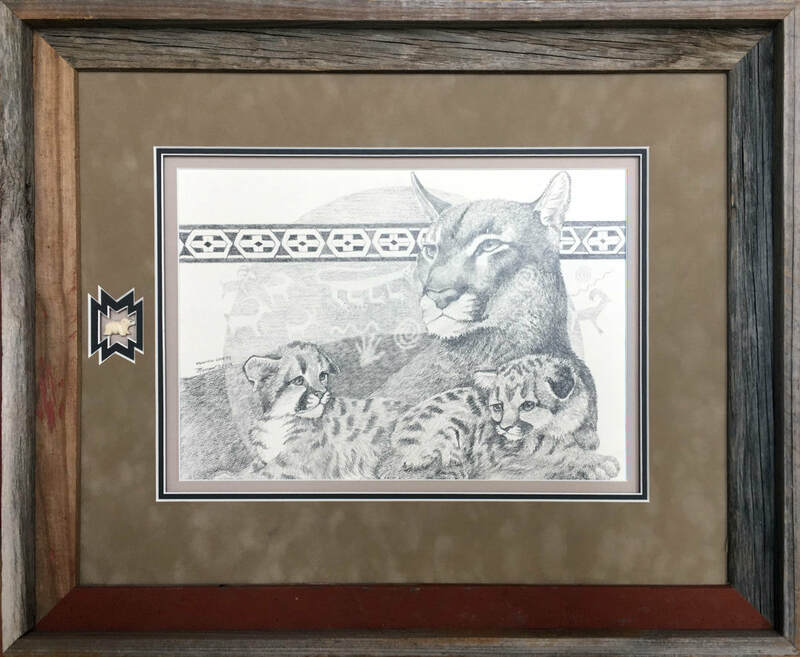 Some of the pencil/graphite drawings will be come finished Acrylic paintings on canvas. This is the preliminary drawing for a Kinetic Original of the same title. The speed drawing shows merged images of the middle view of a kinetic painting. 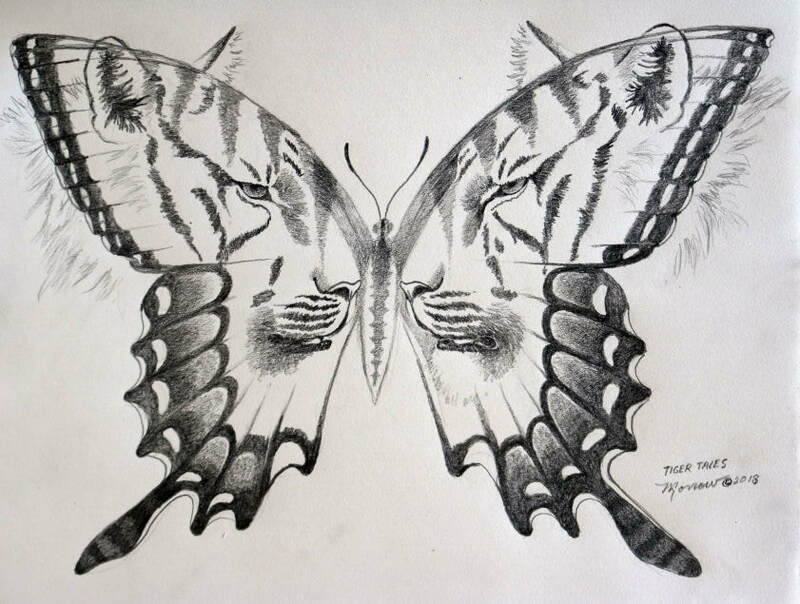 The White Tigers will be on one side and the Tiger Swallowtail butterfly will be on the other side. In the middle view both will be seen at the same time. Drawing is of the imagined middle view. 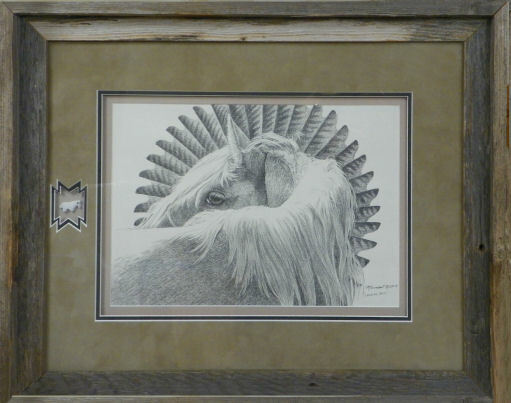 The Messenger by Southwest artist, Kathy Morrow is an Original Graphite on paper. I had a chance to photograph this beautiful Harris Hawk as she was transported to a wildlife clinic to be treated for burns from an electrical wire. She was a beautiful bird with a beautiful spirit. I knew I would be painting her the moment we met. A large Red Tail Hawk with outstretched wings and a single tail feather are in the foreground while another hawk is in flight across the sun. 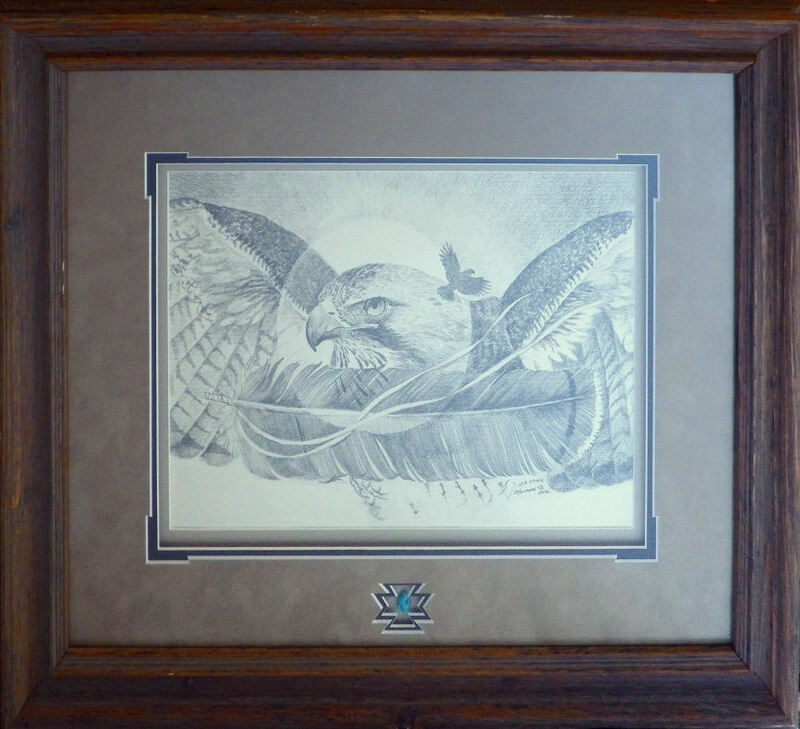 This is the middle view drawing for the Kinetic Painting titled by the same name, Red Hawk. This is a preliminary drawing for an original Kinetic Painting of the same name. My model, Don Parish, does impressions of a Buffalo Soldier in the 9th Cavalry. The first Buffalo Soldier unit was the 10th Cavalry and the 9th was formed from the 10th. In the Lakota language, Tatanka means “buffalo”. 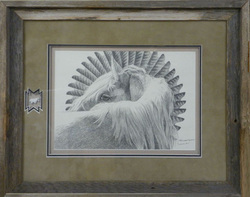 In the drawing, Don is reclined and smoking a corn cob pipe, one of the few pleasures that a Buffalo Soldier might have had. 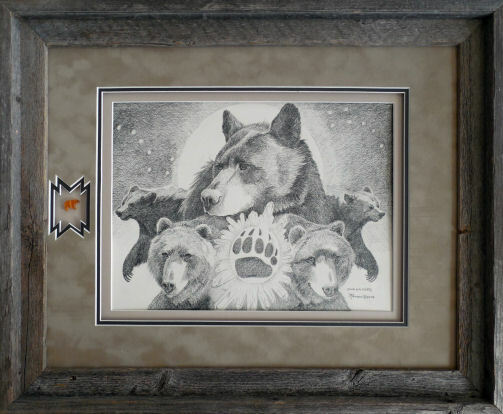 The smoke curls from the pipe and begins to turn into two buffalo on the sides of a Medicine Wheel. Triple mats with a suede top and inset features a small craving in stone of an owl.